This section contains latest 'Notices/Circulars' relevant to various registrations, amendments and compliances under different laws. To download/view forms under relevant laws choose the relevant link below and click GO. This section contains latest 'Charts/Rates' relevant to various registrations, amendments and compliances under different laws. To download/view forms under relevant laws choose the relevant link below and click GO. The data controller collecting the data described herein is Lunawat firm to which the visitor has submitted their data. Personal data collected by Lunawat may be transferred, where it is necessary to meet the purpose for which the visitor has submitted the information. By submitting data on Lunawat's website, the visitor is providing explicit consent to transmission of data collected on the website for the fulfilment of their voluntary requests. Demographic information, including gender and occupation, is not actively sought, but may be submitted when a visitor responds to an online job application. It is Lunawat's policy to limit the information collected to only the minimum information required to complete a visitor's request. In any instance where non-mandatory information is sought, the website visitor will be notified of this at the point of collection. Visitors are also able to send email through the site. Their messages will contain the user's screen name and email address, as well as any additional information the user may wish to include in the message. Because we use the website as a recruiting tool, a visit to the website may also result in the user sending a resume to an individual within Lunawat. Lunawat's intention is not to seek any sensitive information through our website unless legally required for recruiting purposes. Sensitive information includes a number of types of data relating to: race or ethnic origin; political opinions; religious or other similar beliefs; trade union membership; physical or mental health; sexual life or criminal record. We suggest that you do not provide sensitive information of this nature. If you do wish to provide sensitive information for any reason, Lunawat accepts your explicit consent to use that information in the ways described in this privacy statement or as described at the point where you choose to disclose this information. If you would like to find out more about the different categories of information collected, please review the data collection section. Information attained by the site is used only for the intended purpose stated at the time that the information is collected. This data is not shared with other entities in the network for secondary or unrelated purposes, or shared with a third party, unless otherwise disclosed at the point of collection. If there is an instance where such information may be shared, the visitor will be asked for permission beforehand. Lunawat makes every practical effort to avoid excessive or irrelevant collection of data. If a visitor believes the site has collected excessive information, we encourage the visitor to contact us at privacy@lunawat.com to raise any concerns. Except for the mailing list initiative described above, where visitors explicitly choose to receive specific Lunawat updates or other materials, Lunawat will not use personal data collected from our websites to facilitate unsolicited marketing activities. If you are concerned about cookies, most browsers permit individuals to decline cookies. In most cases, a visitor may refuse a cookie and still fully navigate our websites, however other functionality in the site may be impaired. After termination of the visit to our site, you can always delete the cookie from your system if you wish. In order to properly manage our website we may anonymously log information on our operational systems, and identify categories of visitors by items such as domains and browser types. These statistics are reported in the aggregate to our webmasters. This is to ensure that our website presents the best web experience for visitors and is an effective information resource. Lunawat's policy is to disclose information to third parties upon visitors submitting their requests (e.g., when ordering a publication, we display the party fulfilling the order). Lunawat website do not collect or compile personally identifying information for dissemination or sale to outside parties for consumer marketing purposes, or host mailings on behalf of third parties. The Lunawat Website may host various blogs, forums, wikis and other social media applications or services that allow you to share content with other users (collectively “Social Media Applications”). Any personal information or other information that you contribute to any Social Media Application can be read, collected and used by other users of that Social Media Application over whom we have little or no control. Therefore, we are not responsible for any other user’s use, misuse or misappropriation of any personal information or other information that you contribute to any Social Media Application. As a policy, visitors are not required to register to gain access to areas of the Lunawat websites. In certain cases in the future, as your Lunawat website experience expands, we may require visitors to register in order to obtain a user-id and password for authentication and secure access to a transaction or certain business confidential or proprietary information services on premium websites. Each visitor has the right of access to personal data they have submitted through the websites to Lunawat. User updates of information should be handled by going back through the registration process. Inquiries about the accuracy of identifying information previously submitted to Lunawat through its website, or requests to have outdated information removed, should be directed to: webmaster@Lunawat.com. Lunawat is committed to providing reasonable and practical access to visitors to allow them the opportunity to identify and correct any inaccuracies. When requested and practical, Lunawat will delete identifying information from current operational systems. When personally identifiable information is retained, Lunawat assumes responsibility for keeping an accurate record of the information once a visitor has submitted and verified the data. Lunawat does not assume responsibility for verifying the ongoing accuracy of the content of personal information. When practically possible, if Lunawat is informed that any personal data collected through a website is no longer accurate, Lunawat will make appropriate corrections based on the updated information provided by the authenticated visitor. Lunawat has implemented generally accepted standards of technology and operational security in order to protect personally identifiable information from loss, misuse, alteration or destruction. All Lunawat employees follow a network-wide security policy. Only authorised Lunawat personnel are provided access to personally identifiable information and these employees have agreed to ensure confidentiality of this information. Lunawat's policy is to use secure socket layer technology for the protection of credit card information submitted through web forms. This policy is also required for any fulfilment agents of our firms. Lunawat understands the importance of protecting children's privacy especially in an online environment. The Lunawat sites covered by this privacy statement are not intentionally designed for or directed at children 16 years of age or younger. It is Lunawat's policy never to knowingly collect or maintain information about anyone under the age of 16. Lunawat reserves the right to modify or amend this Statement at any time. The effective date will be displayed at the beginning of this statement. To keep visitors informed, Lunawat will notify users of changes to our Privacy Statement by prominently identifying the alteration for a period of not less than two weeks on our home page at http://www.Lunawat.com. 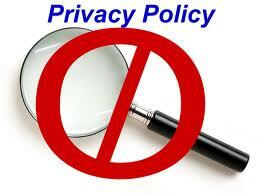 By accessing this Site, you are giving your consent and approval to our privacy policies. This Privacy statement is incorporated into and subject to the Terms and Conditions of This Site as though set forth in full. Copyright © 2019 Lunawat & co. All Rights Reserved.